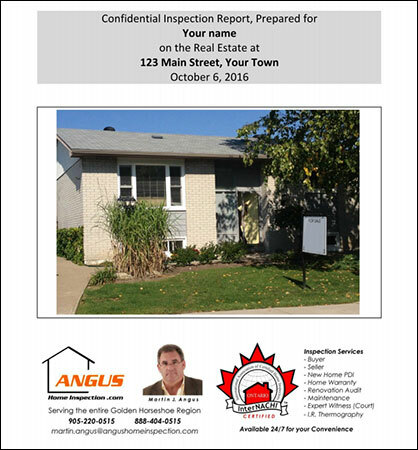 Angus Home Inspection - Proud of our reputation in Ontario! We will go the extra mile to maintain that reputation. Lets get right to the reason for you being here. You already know that a home inspection is critically important. I will assume you do not need to hear about all the benefits that a home inspection provides. A sound knowledge and experience base to discover current and potential future issues within a new or pre-owned home. A genuine interest in this business keeps me current on significant building code and construction topics. I use the same methodical approach that has worked for me many times. I listen to my client to understand any special needs or concerns. I then start outside and evaluate grade, water management, building envelope, foundation, walls, roof etc. The condition of these items tells me what to pay special attention to when I get inside. Next, the basement, electrical, heating, plumbing etc, then working my way upwards to each room and ending at the attic space. FREE Thermal Imaging (FLIR) Included in Every Inspection. Personable and effective verbal and written communication of the findings. This means differentiating serious issues from the common maintenance items - putting issues in perspective and not walking away until your every inquiry is addressed to your satisfaction. Your participation is welcomed. You may "tag-along" or wait for me to present the findings to you at the end. No waiting, onsite reporting with photos. I have used him for 2 inspections and would highly recommend again. I love being a home inspector and running my business my way. I get great satisfaction in providing a service that supports my client’s safety, health and financial objectives. Nothing is more satisfying to me than a referral from a previous client to a friend or family member. The privilege of achieving your confidence is never taken lightly. We will go the extra mile to maintain our reputation. 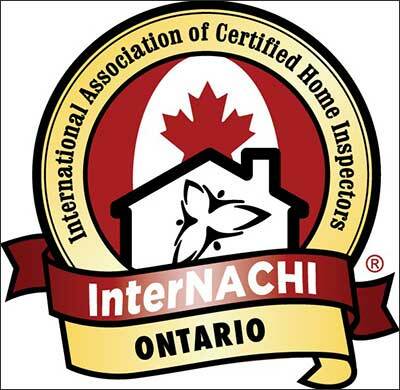 Thank you for your interest in our home inspection service in Ontario. Please call us directly. We appreciate your patronage.